BOISE, Ida. 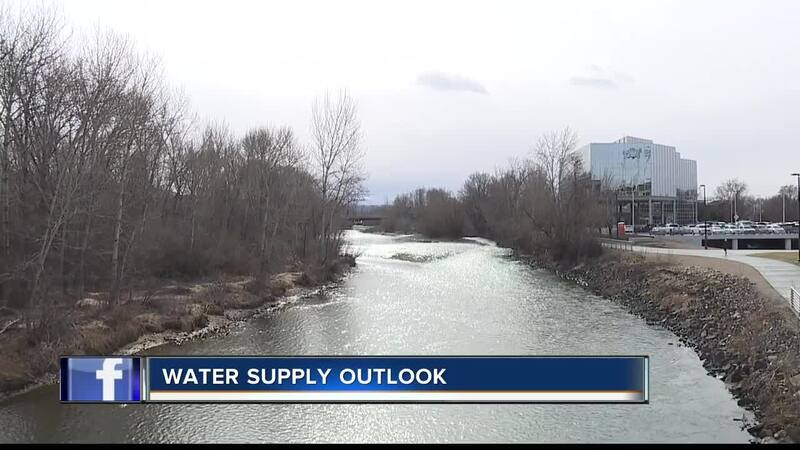 — The Idaho Water Supply Committee says the summer water supply outlook is great for farmers and those ready to get out and enjoy some summer fun. IWSC experts say the heavy snowpack and all the recent rain from late winter to early spring is helping the outlook. There's also a lot of snow in the mountains that still hasn't melted yet. Officials are keeping a close eye on the snowpack as the temperatures heat up. "There's going to be good, adequate water supplies across the state this year so we're in good terms of that -- and we'll just see how wet or dry the remaining part of spring is because it's critical now since the soil is saturated. So if you get more rain on top of that, you're going to get runoff, but hopefully, we'll see more of a gradual melt," says water supply specialist Ron Abramovich. Much of the gradual melt depends on temperatures over the next few months. Most of the flooding across the central mountains and in the Weiser and Payette areas was due to snow melting faster than the reservoirs could handle.